Somewhere, “up in them thar hills”, a mighty town once stood. Practically overnight, like many other boomtowns in our beloved desert, Vanderbilt sprung up in the New York Mountains, just south of Las Vegas. And like many other boomtowns, not much remains of it. In fact, most who have visited it recently would likely not believe that a town of 400 residents, a two-story hotel, and various other businesses existed in Vanderbilt’s brief heyday. 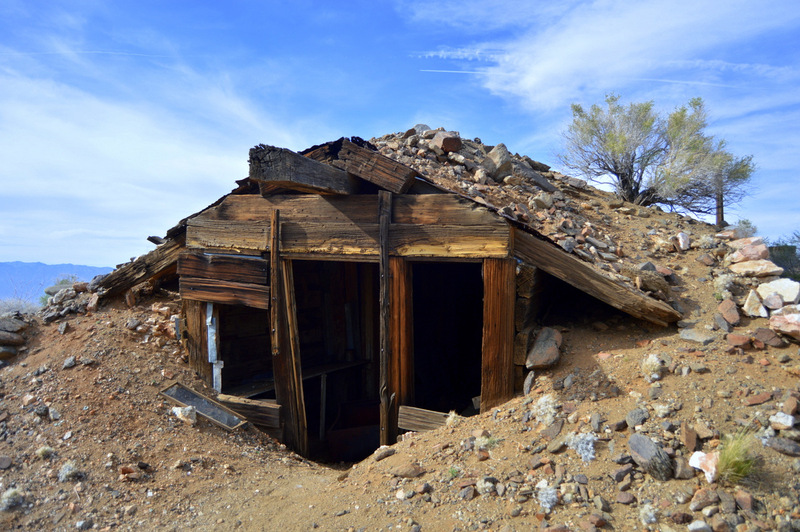 It all started in 1890, when a lone Paiute named Bob Black discovered gold in the mountains. 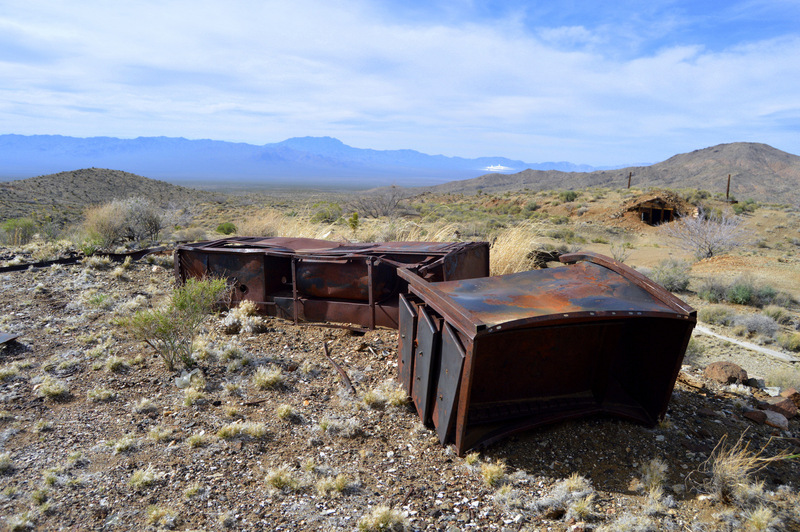 The problem was, either no one believed him that it was there, or the just didn’t want to make the journey into the then, and ironically once again, remote part of the Mojave Desert. Finally, Bob convinced one M. Murray Beatty to look into the claim. “Old Man” Beatty, as he was known, was married to a Paiute woman from the same extended family as Bob Black. The name Beatty should sound familiar to anyone that has driven from Vegas, the small town of the same name for him. A metal bed frame alongside the road leading into Vanderbilt. One hundred years ago, the town would have been visible just ahead. 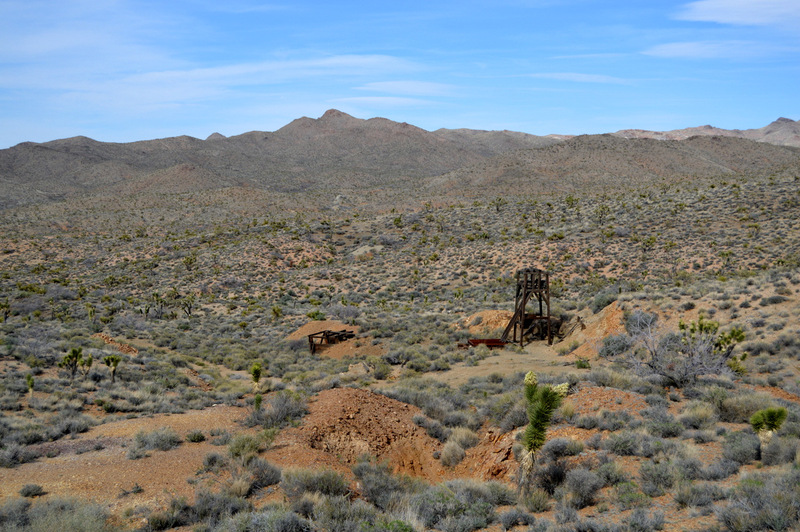 Beatty quickly found that Bob had in fact discovered a worthy claim, and in 1892 sunk the first 100 foot shaft with the aid of his associate, Allen Green Campbell. The two were quickly joined by Joe Taggart and James Patton, who began shafts of their own. Following a huge strike by Taggart, the area was flooded with prospectors looking to make it rich, and Vanderbilt was born. Over two hundred men took up residence within the first three months of Taggart’s strike. One of these men was Virgil Earp, the brother of Wyatt Earp. He owned the aforementioned two-story hotel, which also sported a saloon on the ground floor. Vanderbilt also had a general store, a Chinese restaurant, three boarding houses, and a lodge all sprung up. By February of 1893, the town had a post office. Over the next year, Vanderbilt continued to prosper, and grow. Some rusting equipment from a mine site. This would have been just outside the town limits. The lights from the Ivanpah Solar Power Plant can be seen in the distance. By the end of 1893, Vanderbilt had reached its zenith. The town now had four saloons, three restaurants, a lumber yard, two doctor’s offices, a butcher, a drugstore, and four general stores to serve the four hundred people now living there. Then disaster struck. Not the violent kind, however, Vanderbilt was always peaceful town. By 1895 most of the claims had struck water, which meant that they couldn’t be mined any deeper. On top of that, new strikes in other places drew the attention away from Vanderbilt. Some stuck around and continued to make profit off of new claims, but by 1899 there was not much left of the town and all of the businesses were long gone. Unlike other boomtowns, mining did continue off and on in the area into the 1970s. The Goldome Mine was founded in 1955, just over the hill and remained active until 1999 or 2000. The town should have been in the valley below, maybe a little to the left. Visiting Vanderbilt today is a unique experience. In order to get there, you drive along what looks like a dirt road. 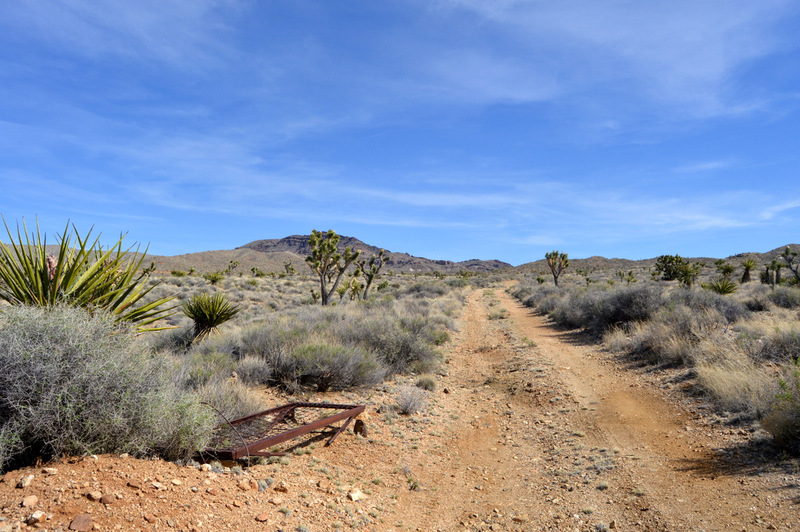 However, that is not the case, the road is actually the remains of the Eastern California Railway. A high clearance two-wheel drive vehicle can get you there, but you will have to walk a short distance as the road that branches off of the old railway is only accessible to four-wheel drive or quad runners. 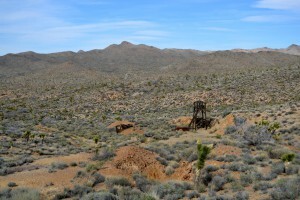 There is just enough left of the mine sites to let you know you are in the right place. The actual town-site has been overtaken by nature. 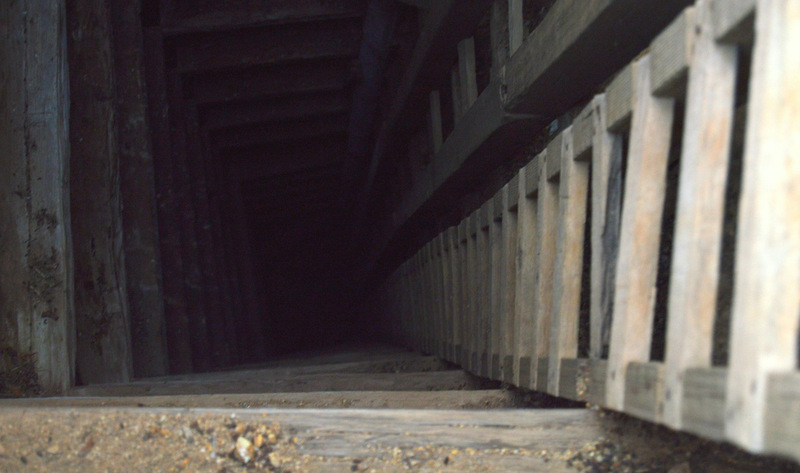 Looking down one of the vertical shafts. Even though it was capped with a metal grid, it is still dangerous to get this close to them. Do as I say, not as I do. 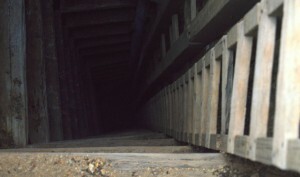 Most of the vertical shafts have been capped with metal grids to prevent anyone from falling or climbing down them. Nonetheless, caution should be used around them. The edges can be unstable and could collapse, and there are gaps large enough for a child or small dog to squeeze through. There are a few horizontal tunnels on the mountain as well, while they may look safe to enter, the adage “Stay Out, Stay Alive” should be remembered. For more about Vanderbilt, visit vredenburgh.org. To plan your visit to the Mojave National Preserve, there is no better site than RoadTripAmerica.com. You may also be interested in The Kelso Train Depot, which is also in the area.